#1. This week's number one is former international power forward Trevor Mbakwe (207-89, agency: Pensack Sports, college: Minnesota, currently plays in Germany). He was the major contributor in a EnBW Ludwigsburg's victory against the 11th-ranked Deutsche Bank Skyliners (0-1) 83-76 in the German BBL in Saturday night's game. Mbakwe recorded 15 points and grabbed 4 rebounds in 24 minutes on the court. MHP RIESEN Ludwigsburg (1-0) is placed third in the BBL. But this is still an early stage of the season and everything may happen. This year Mbakwe averages: 9.5ppg, 4.5rpg in two games he played so far. He has a dual citizenship: Nigerian and American. Despite Mbakwe played previously for the USA university national team, he played also for the Nigerian national team in 2016. #2. Second place goes to an experienced former international forward Abdullahi Kuso (206-84, college: Tallahassee CC, currently plays in Japan). Kuso could not help Gunma (1-1) in their last game on Saturday. Despite his very good performance the fourth-placed Gunma (1-1) were defeated 97-89 at home by the higher-ranked Yamagata (#3) in the East group. Kuso recorded a double-double by scoring 17 points and getting 14 rebounds. He also added 3 assists, 5 blocks and 3 steals. But the season just started, so everything may happen. Kuso has relatively good stats this year: 14.5ppg, 9.5rpg, 2.0apg, 3.0bpg, 2.0spg, 2FGP: 45.8% and FT: 87.5%. He played for the Nigerian national team in 2007. #3. The Nigerian player who performed third best last week abroad was an international guard Obi Emegano (190-93, college: ORU, currently plays in France). Emegano contributed to an easy victory against the league outsider Provence Basket (0-3) crushing them 82-61 in the French ProA in Friday night's game. He scored 9 points. JDA Dijon Bourgogne (3-0) is placed second in the ProA. So far his team won all three games in the Regular Season. But the season is still in it's first stage and everything can happen. Emegano's overall stats this season are: 9.0ppg, 1.7rpg, 1.3apg, 2FGP: 42.9%. He is another player who holds two passports: Nigerian and British. Emegano is also a member of the Nigerian senior national team. #4. Forward Emmanuel Omogbo (203-95, agency: 3Eye, college: Colorado St., currently plays in Lithuania) was not able to help P.Zvaigzdes (1-3) in their last game. Despite Omogbo's very good performance P.Zvaigzdes was edged 82-79 on the road by the higher-ranked (#5) Juventus. He was the second best scorer with 15 points. Omogbo also added 8 rebounds in 27 minutes. It's Omogbo's first season with the team. He has individually a very good year with high stats. Omogbo averages: 15.5ppg, 6.3rpg and 2.3spg in four games. He has both American and Nigerian nationalities. Omogbo is also Nigerian national team player. #5. International swingman Stan Okoye (198-91, college: VMI, currently plays in Spain) was not able to secure a victory for Zaragoza (1-1) in their last game on Saturday. Despite his very good performance Zaragoza was crushed 99-76 in Vitoria by the higher-ranked Baskonia (#6). Okoye was the top scorer with 16 points. He also added 5 rebounds. This season Okoye has relatively solid stats: 13.0ppg and 3.5rpg. He also holds two passports: Nigerian and American. Okoye plays currently for the Nigerian national team. #6. Power forward Talib Zanna (206-90, also represented by 3Eye, college: Pittsburgh, currently plays in Spain) couldn't help Baloncesto Fuenlabrada (1-1) in their last game. Despite Zanna's good performance Baloncesto Fuenlabrada lost 79-93 in Malaga to the higher-ranked (#5) Unicaja. He scored 10 points in only 13 minutes. This year Zanna's overall stats are: 8.5ppg and 3.5rpg in two games. He is an international player who is currently on the senior Nigerian National Team roster. #7. International guard Ike Iroegbu (188-95, college: Washington St., currently plays in Germany) couldn't help Science City Jena (0-1) in their game against ALBA Berlin (1-0) in the German BBL. Iroegbu recorded 6 points. It was his first game for Science City Jena this season. 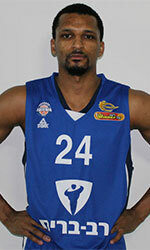 Science City Jena was crushed 112-55 in Berlin by the much higher-ranked ALBA (#5). Iroegbu is also Nigerian national team player. #1. Avery Ugba (204-C/F-94, college: Austin Peay St., currently plays in Switzerland) was the major contributor in Pully's victory against the closely-ranked Boncourt (0-1) 81-72 in the Swiss SBL on Sunday night. Ugba recorded 26 points (!!! ), 8 rebounds and 2 blocks in 34 minutes. It was his first game for Pully this season; quite an impressive performance considering it's only his first season in pro basketball. His team is placed fourth in the SBL. #2. Rasheed Sulaimon (193-G-94, college: Maryland, currently plays in France) contributed to an easy victory against the second-ranked Cholet Basket (3-0) crushing them 96-69 in the French ProA last Saturday. He scored 6 points, had 6 rebounds and dished 9 assists in 32 minutes. Levallois Metropolitans (2-1) is placed seventh in the ProA. But there are still lots of games to play and it's a long way to go. This year Sulaimon's overall stats are: 8.7ppg, 4.0rpg, 5.3apg and 1.3spg in three games he played so far. He has a dual citizenship: Nigerian and American. Despite Sulaimon's Nigerian passport, he previously played for the USA U19 national team and is probably not eligible to play for the Nigerian team. #3. Michael Ojo (216-C-93, college: Florida St., currently plays in EuroCup) led his Serbian team Crvena Zvezda to an easy victory against the fifth-ranked ratiopharm Ulm (0-1) 88-73 in the Eurocup on Tuesday night. He recorded a double-double by scoring 14 points and getting 10 rebounds. Ojo also added 2 blocks. It was his first game for Crvena Zvezda this season; not bad, considering it's only his second season in pro basketball. His team is placed third in group A. Worth to mention Ojo played also at Eurobasket Summer League, which helped him get the job in pro basketball. #4. Abdul-Malik Abu (203-F-95, college: NC State, currently plays in Alpe-Adria-Cup) could not help KK Vrijednosnice Osijek (0-1) in their last game. Despite his very good performance KK Vrijednosnice Osijek lost 76-82 on the road to the leading Hopsi Polzela. Abu was the second best scorer with 17 points. He also added 9 rebounds in 26 minutes. It was his first game for KK Vrijednosnice Osijek this season. #5. Ike Joseph Udanoh (203-PF-89, agency: Octagon Europe, college: Wayne St., MI, currently plays in Basketball Champions League) was not able to help MIA-RO Cantu in their game against Antwerp Giants (4-0) in the Basketball Champions League. Udanoh recorded 6 points. MIA-RO Cantu was defeated 100-94 in Antwerp by the much higher-ranked Giants (#3). The Qualifying Round already ended in the Basketball Champions League. Udanoh's overall stats this season are: 8.8ppg, 7.8rpg, 2.0apg, 1.3bpg and 1.8spg. He is another player who holds two passports: Nigerian and American. #6. Experienced Godwin Ekene Omenka (206-C-0, currently plays in Hungary) contributed to DEAC's victory against the 11th-ranked Kormend 82-78 in the Hungarian A Division last Friday. Omenka recorded 6 points, 4 rebounds and 2 blocks in only 13 minutes. It was his first game for DEAC this season. Omenka has both Nigerian and Hungarian nationalities. #7. Ike Okoye (206-F/C-86, college: Boise St., currently plays in Panama) was not able to secure a victory for Caballos (2-5) in their last game on Saturday. Despite his very good performance Caballos was edged 85-83 at home by the leading Correcaminos. Okoye recorded a double-double by scoring 16 points and getting 14 rebounds. He also added 3 blocks. Okoye has reliable stats this season: 14.1ppg, 10.6rpg, 1.6apg and 1.1spg. He also holds two passports: Nigerian and American. #8. Stephen Nwaukoni (203-F-91, college: Hofstra, currently plays in France) contributed to an easy victory against the eighth-ranked Lourdes-Tarbes 89-72 in the French NM1 (third division) on Saturday night. He scored 8 points and grabbed 7 rebounds (went 6 for 6 at the free throw line) in 20 minutes. This year Nwaukoni's total stats are: 9.3ppg, 7.3rpg and 1.3apg in three games. He holds both American and Nigerian passports. #9. Kieron Achara (208-F-83, agency: Two Points, college: Duquesne, currently plays in United Kingdom) couldn't help Glasgow Rocks in their game against Newcastle Eagles in the British BBL. Achara cannot count Sunday's game as one of the best ones. He scored only 3 points. His team was defeated 100-85. Achara's total stats this season are: 8.7ppg, 3.0rpg and 2.7apg. He has dual citizenship: Scottish and Nigerian. #10. Ebuka Anyaorah (193-G/F-90, college: N.C.Central, currently plays in France) couldn't help Recy Saint-Martin in their game against Sorgues BC in the French NM1 (third division). He scored 8 points and grabbed 4 rebounds in 34 minutes. His team lost 71-75. Anyaorah has reliable stats this year: 10.3ppg, 2.7rpg and 1.3apg in three games. He holds both American and Nigerian passports. Anyaorah attended previously one of camps at Eurobasket Summer League on his way to pro basketball.